The Apple event scheduled for September 9 caught absolutely nobody by surprise. The date was leaked and while it’s not confirmed, everyone is expecting the company to announce a new wearable. Meanwhile Motorola has announced that it will ship the Moto 360 on September 4. 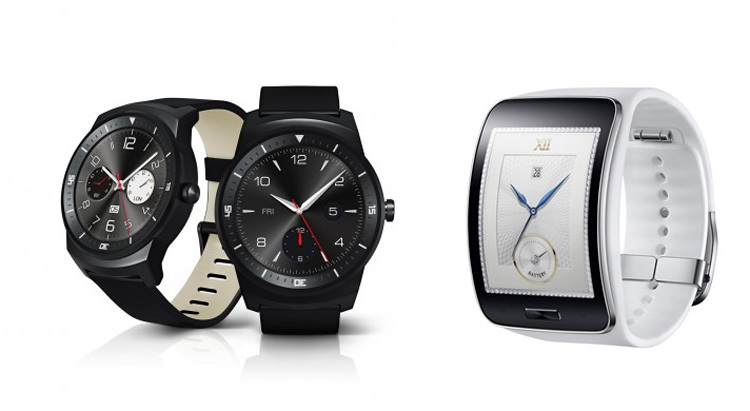 September is going to be a big month for wearables and it seems that Samsung and LG don’t want to be left out. Samsung’s announcement was actually rushed out 30 minutes after LG’s — that alone illustrates the frenzied need to keep up with the Jones. Yesterday both companies announced their own smartwatch news. LG announced it is unveiling the LG G Watch R at IFA next week and Samsung announced the Gear S, a smartwatch with a curved display that can make calls without a smartphone that will be available in October. Both pieces of news seems like they were rushed out the door to beat Apple and Motorola to punch. 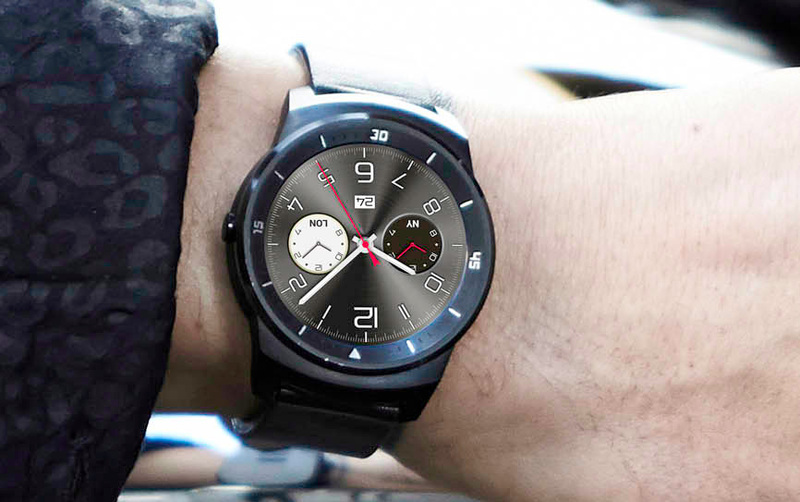 The result is that LG and Samsung sent out 3D renders of their new smartwatches that look like both companies are launching a Kickstarter campaign out of their step-dad’s garage. In the image above it is painfully clear that neither company (The LG G Watch R is on the left, the Samsung Gear S is on the right) actually has a working prototype, or a non-working prototype, or even a clay sculpture of these watches. To me it looks like someone at one of these companies was cruising the Internet, realized people were excited about the Moto 360 and rumored Apple iWatch and called someone the person in the design department with a trial version of 3D Studio Max and put them to work. This is not how you run a multi-billion dollar company. This is how you and a buddy from college launch a wacky crowd-funding campaign. You get stoned, eat some pizza and think you can change the world with your combination bike/smartwatch/cooler idea. LG says that it will unveil the G Watch R at IFA in Berlin next week. Let’s hope before then it at least hires someone with enough Photoshop skills to line up the numbers on its watch with the center of the band. Unless having the 12 and 6 hour slightly askew is some sort of new watch style I’m unaware of. Hey LG and Samsung, I get it. It’s hard to keep up with the whims of the consumer market. They keep saying they want to have their steps monitored then leave their wearable in a drawer after two months of use. You and everyone else in the market is basically throwing everything at the wall and seeing what will stick. But maybe slow down a little. Show something that actually works or at least resides in the physical world. Or maybe, worry less about what everyone else is doing and forge your own path. You could potentially jumpstart an entirely new segment. But until then, put away the 3D rendering software.